Directed by Joe Wright. With Keira Knightley and Jude Law. Now playing. 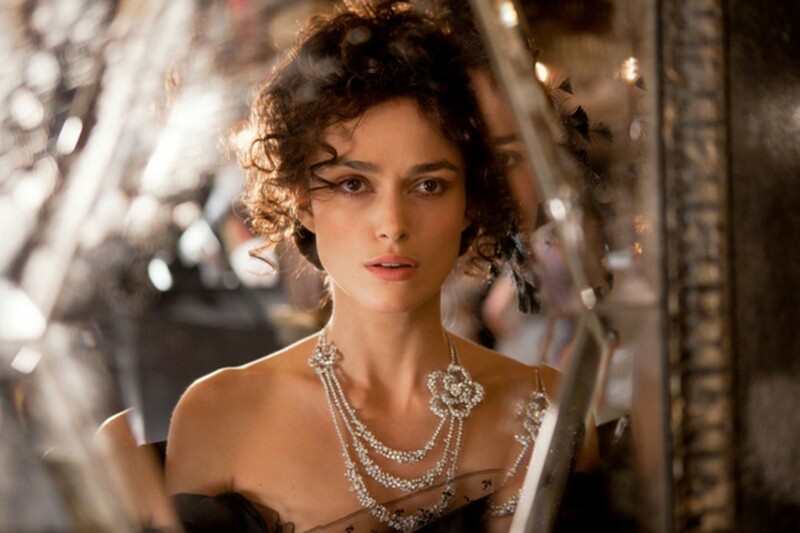 Joe Wright's Anna Karenina, in its ostentatious but basically inoffensive way, prompts all sorts of entertainment discussions that are probably too involved to explore in this short space. One of those discussions is about the Coffee Table Film, of which AK is a sterling example. Coffee Table Films are sumptuous, heavily decorated, ornately costumed dramas — usually period pieces — whose chief aim is to inject a little romance and glitter into the lives of the audience, at the expense of things like emotional complexity, character development, believable acting, etc. The term was invented to describe certain Merchant Ivory productions in the 1980s and 1990s, but the latest Anna Karenina fits the comfy chair nicely: certified Leo Tolstoy literary masterpiece, doomed heroine, handsome but vain male love object, full-dress military balls, acres of bric-a-brac, plus a sprig of irony. 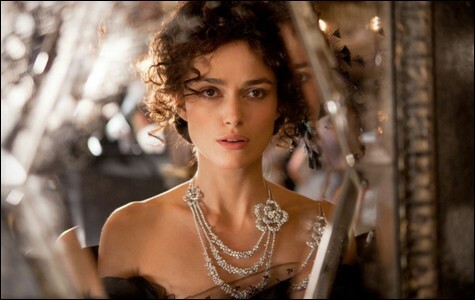 St. Petersburg socialite Anna, impersonated by Keira Knightley of the clenched jaw, falls in love with dashing heartbreaker Count Vronsky (Aaron Taylor-Johnson), partly because she feels suffocated by her rigid husband, government minister Karenin (Jude Law), and partly because she suffers from incurable romantic melancholia. Much has been made of Wright and screenwriter Tom Stoppard's idea to have much of the action take place in the rafters of an actual playhouse, as if that were some sort of freshness guarantee. The film suffers from Broadway-show-itis — a riot of frou-frou, an avalanche of whirligigs, and yet the protagonists might as well be robots. Wright regular Knightley, who's best in histrionic situations (A Dangerous Method), is more of a terminally indecisive nanny here than a tormented tower of desire. Anna's milieu is "romantic" the way a luxury goods store is — the thrill of the mercantile, with all the passion of a props inventory at the opera house. Anna and candied cadet Vronsky want to possess each other, like trophies. Not even the low haunts are any fun. Too busy, too gilded, too managed. All this makes us want to see a real Russian film. Society's verdict on Anna is that "she broke the rules" with her amour fou. Wright's crime is that he followed the rules too closely for his own good.